The City of God Against the Pagans (Latin: De ciuitate Dei contra paganos), often called The City of God, is a book of Christian philosophy written in Latin by Augustine of Hippo in the early 5th century AD. 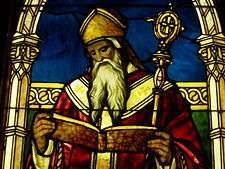 The book was in response to allegations that Christianity brought about the decline of Rome and is considered one of Augustine's most important works, standing alongside The Confessions, The Enchiridion, On Christian Doctrine and On the Trinity. 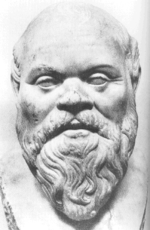 As a work of one of the most influential Church Fathers, The City of God is a cornerstone of Western thought, expounding on many profound questions of theology, such as the suffering of the righteous, the existence of evil, the conflict between free will and divine omniscience, and the doctrine of original sin. The sack of Rome by the Visigoths in 410 left Romans in a deep state of shock, and many Romans saw it as punishment for abandoning traditional Roman religion for Christianity. 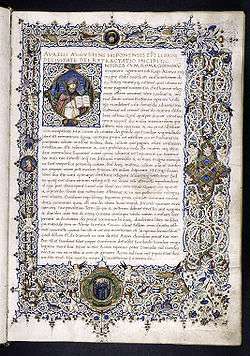 In response to these accusations, and in order to console Christians, Augustine wrote The City of God, arguing for the truth of Christianity over competing religions and philosophies and that Christianity was not only not responsible for the Sack of Rome, but also was responsible for the success of Rome. He attempted to console Christians, writing that even if the earthly rule of the Empire was imperiled, it was the City of God that would ultimately triumph. Augustine's eyes were fixed on Heaven, a theme of many Christian works of Late Antiquity, and despite Christianity's designation as the official religion of the Empire, Augustine declared its message to be spiritual rather than political. Christianity, he argued, should be concerned with the mystical, heavenly city, the New Jerusalem, rather than with earthly politics. The book presents human history as a conflict between what Augustine calls the Earthly City (often colloquially referred to as the City of Man) and the City of God, a conflict that is destined to end in victory for the latter. The City of God is marked by people who forgot earthly pleasure to dedicate themselves to the eternal truths of God, now revealed fully in the Christian faith. The Earthly City, on the other hand, consists of people who have immersed themselves in the cares and pleasures of the present, passing world. Augustine’s thesis depicts the history of the world as universal warfare between God and the Devil. This metaphysical war is not limited by time but only by geography on Earth. In this war, God moves (by divine intervention/ Providence) those governments, political /ideological movements and military forces aligned (or aligned the most) with the Catholic Church (the City of God) in order to oppose by all means—including military—those governments, political/ideological movements and military forces aligned (or aligned the most) with the Devil (the City of Devil). Many Catholics consider Jacques-Bénigne Bossuet's Discours sur l'histoire universelle or Speech of Universal History (1681) to be a second edition or continuation of The City of God. This book updates universal history according to Augustine’s thesis of universal war between those humans that follow God and those who follow the Devil. 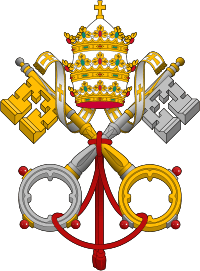 This concept of world history guided by Divine Providence in a universal war between God and Devil is part of the official doctrine of the Catholic Church as most recently stated in the Second Vatican Council's Gaudium et Spes document: "The Church . . . holds that in her most benign Lord and Master can be found the key, the focal point and the goal of man, as well as of all human history...all of human life, whether individual or collective, shows itself to be a dramatic struggle between good and evil, between light and darkness...The Lord is the goal of human history the focal point of the longings of history and of civilization, the center of the human race, the joy of every heart and the answer to all its yearnings." Book VI: a refutation of the assertion that the pagan gods are to be worshiped for eternal life (rather than temporal benefits). Augustine claimed that even the esteemed pagan theologist Varro held the gods in contempt. Book X: a teaching that the good angels wish that God alone is worshiped and a proof that no sacrifice can lead to purification except that of Christ. Books XV-XVIII: the history or progress of the two cities, including foundational theological principles about Jews. Books XIX-XXII: the deserved destinies of the two cities. De civitate dei (Latin) – The Latin Library.